Partly cloudy early followed by cloudy skies overnight. Slight chance of a rain shower. Low 36F. Winds ESE at 5 to 10 mph.. Partly cloudy early followed by cloudy skies overnight. Slight chance of a rain shower. Low 36F. Winds ESE at 5 to 10 mph. Local Cajun-zydeco band The Green Mountain Playboys takes the stage for dancing Saturday at Positive Pie II in Montpelier. Helping kick off Montpelier’s Spice on Snow music festival tonight, The Rear Defrosters bring their honky-tonk, country and rock ’n’ roll to Charlie O’s. Greetings live music fans! Now that we have plenty of snow, it’s time to add the spice. The annual Spice on Snow Winter Music Festival takes place in Montpelier this weekend, starting tonight. Myriad live music events, workshops and other festival offerings can be perused, and tickets can be purchased by visiting www.summitschoolwixsite.com. I’ll highlight a few of the musical events below. You can kick things off tonight at Charlie O’s on Main Street here in the snowbound Capital City with a pair of great acts. Chaque Fois! which translates to “every time,” plays music from southwest Louisiana, but has local roots, as the band is led by longtime area musicians Katie Trautz (a festival co-founder) and Alec Ellsworth. They’ll get the Cajun-style party started at 8 p.m. Later on at 9:30 p.m., The Rear Defrosters take the back of the barroom with their honky-tonk, country and rock ’n’ roll sounds. All shows at Charlie O’s are free. I’ve always wanted to hop a train. There’s something compelling and romantic about the thought of illegally riding the rails, though having known people who have actually done this, I’m fully aware that the reality is not quite so idyllic. On Friday night, you can catch the next best thing with the fiery old-time string band out of North Carolina known as The Freight Hoppers at Sweet Melissa’s on the corner of Elm and Langdon in the shadow of the golden dome. Authentic as heck, this group is one of the best in the business at updating music that originated in Appalachia in the 1920s and ‘30s. They’ll get the old-time party started at 9 p.m. for $5 at the door. If you really want to get your dance on, Positive Pie II on State Street here in the capital is the place to be Saturday night. 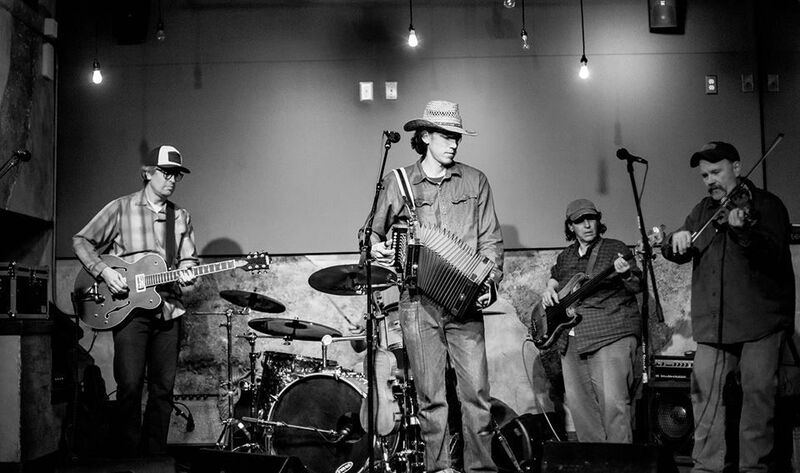 That’s when local Cajun-zydeco band The Green Mountain Playboys takes the prominent downtown stage to throw down their rock-hard Louisiana dance music. These guys may be local, but their sound will take you straight to the bayou and is impossible not to move your feet to. They’ll be joined by some special guests and with the number of excellent musicians around for the weekend, special is the key word here. This one should be a serious party starting at 10 p.m. for $10 at the door. There are a number of other marquis events featured for the festival around Montpelier this weekend, including happenings at city hall and various churches. For more on all the festival offerings, visit the website. Spice on Snow is sure to keep Montpelier warm this weekend, no matter how cold it is. Outside of town, there are a number of roots music-oriented shows going on as well. Over at The ZenBarn in Waterbury Center, longtime Mad River Valley bluegrass band The Mad Mountain Scramblers brings its wicked pickin’ sound to the Guptil Road hotspot Saturday night starting at 9 p.m. for $5 at the door. Meanwhile, up in the bucolic village of Calais, there is bluegrass music at The Whammy Bar when Sky Blue Boys take the diminutive stage nestled in the back of the Maple Corner Store starting at 7:30 p.m. Friday night. Tonight at the Whammy, you can catch a very special show with Willa Mamet and Paul Miller, two local luminaries who only perform together a few times a year. Expect this one to be well attended starting at 7 p.m. On Saturday night, blues/soul guy Johnny Blue Jeans takes the small-bar stage starting at 7:30 p.m. Finally, if you are looking for something that is decidedly not roots music, look no further than Charlie O’s on Friday night. That’s when you can catch Vermont-based classic metal band NOS4A2 (that’s pronounced “Nosferatu,” like the old vampire movie — metal bands like their tricky nomenclature). The loud and heavy fun starts at 9 p.m. If that is a bit too heavy for your taste, you can head over to Barre and hit up Mingle on Main Street to catch almost all-female capital-based rockers Yestrogen starting at 9 p.m.
That wraps up this week. Add some spice to all this snow by going to see live music!